Invited to a summer pick nick or BBQ and want to bring a special side dish but don’t have too much time? Bring 250 ml water to the boil with 1 Tsp salt and 1 Tbsp olive oil. 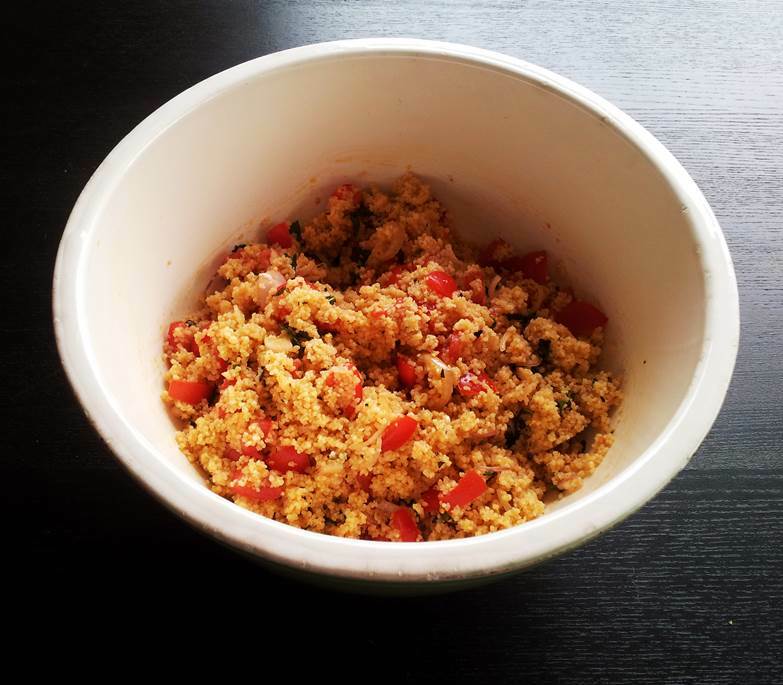 While stirring mix cous-cous into water, cover and take away from heat. Let sit for about 5-10 minutes, or until cous-cous is tender but firm to the bite. Stir until cous-cous has cooled a bit and won’t lump. Mix with rest of ingredients. This entry was posted in Appetizers, Side dishes, Yummy for my tummy.